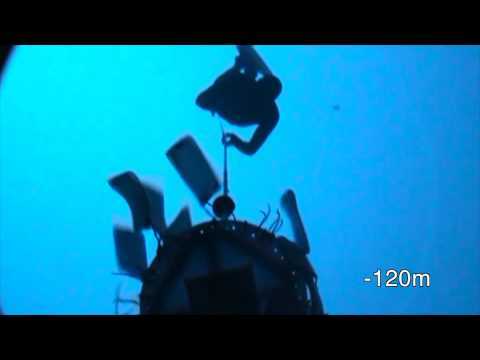 In september 2013, during the mini competition right before the Individual World Championship, Guillaume Néry did a dive at -125m on a single breath of air. Guillaume Néry breaks a new freediving french record in Constant Weight with Fins at -123m, during the international event Vertical Blue 2012, in Long Island-Bahamas. The dive took 3'30"